Years after he had a hit with a bossa nova version of Paul McCartney’s song The Fool on the Hill, Sergio Mendes received a letter from the Beatle thanking him for his interpretation. Burt Bacharach was similarly appreciative of what Mendes did with The Look of Love. In the late 1960s Sergio Mendes and Brasil ’66 were a kind of machine for making hits, thanks to the pianist’s ability to “Brazilianise”, as he puts it, other people’s songs. Certainly all those qualities were hallmarks of that run of world-wide hits that began in 1966 with Mas Que Nada – and this at a time when a song in Portuguese (or any other foreign language) had a tough time making any impact in the English-speaking world. In the wake of the success of Mas Que Nada Mendes immediately began to hear the bossa nova potential in other songs. This process was not something he ever formularised. “It’s about your taste, your intuition and the courage of doing it,” he says. Having begun studying classical piano when he was seven, Mendes fell in love with jazz when he was about 13, and was working in the clubs of Rio de Janeiro when the bossa nova phenomenon first emerged in 1958, courtesy of composers like Antonio Carlos Jobim. He was immediately smitten with this new, gentler, jazz-inflected version of the samba rhythm, and consequently in the early 1960s he was befriended by countless jazz greats in the US, because he brought a sort of “legitimacy” to a bossa nova groove for which they were all striving. Recordings with the likes of saxophonist Cannonball Adderley and flautist Herbie Mann ensued. Indeed he had a hit with Mas Que Nada a second time in 2006 when he collaborated with will.i.am and the Black Eyed Peas – a version that in concert is mashed together with the original arrangement and realised with the help of a rapper. The current 10-piece incarnation of Brasil ’66 that he brings to Australia still contains his wife, the singer Gracinha Leporace, and will be playing all the hits as well as covering other projects of Mendes’s career from across the decades. “I call it a musical journey,” he says. 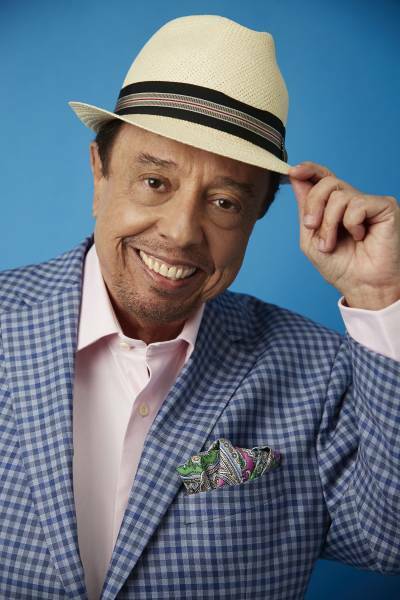 Sergio Mendes: Concert Hall, April 8.